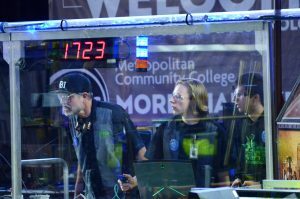 First Bots of Independence attended two competitions this year, one in our local area of Kansas City and another in the great city of Chicago. 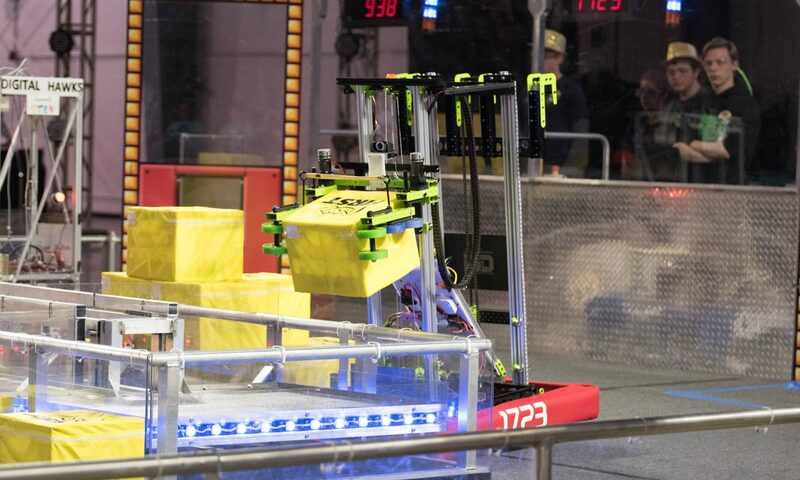 Although both competitions were well fought, and our team was chosen to be on one of the top eight alliances in both competitions (the #1 seated alliance in KC and the #6 seated alliance in Chicago), we unfortunately did not make it to Worlds this year. Yet even though we were unable to bring home a blue banner for 2017, we worked hard and we were able to make great improvements in not only our robot, but team as well. This year, we learned how to work together more effectively in order to compete tasks in a more timely fashion and thus allowed us to be able to accomplish more than ever before. Currently, we are preparing to head out to the FRC Missouri State Competition. 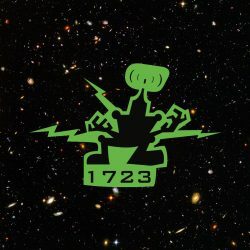 The top 24 team are invited to go and since we ranked 27th out of all robotics teams in the state of Missouri, we were offered to attend due to a few teams declining the offer allowing us to move up. In our last competition, the claw on our robot, the ‘arms’ of the robot we used to pick up gears from the floor and hold gears in place, broke down, so we are currently working on trying to repair this crucial part of our robot before the state competition. No matter the outcome of our prior competitions or our upcoming one, this year has made our team stronger and the skills we have learned this year will remain with us in seasons to follow. With every win and lose, we learn more about robots and what works and what doesn’t. We also learn more about ourselves and the best way to work together so that as we can become a more effective team.